Happy Friday, my lovelies. You’re seeing a picture of my morning coffee before I’ve even poured it. It’s coffee I’ve cold brewed, as in grounds I’ve mixed with cool water then let sit overnight. Sounds like a step backward, right? Like something a cowboy would drink on a day too wet for a campfire. And cowboys aren’t known to travel with sieves, so he’d spend the rest of that damp, dreary day picking grounds out of his teeth with a twig. But Food52, Smitten Kitchen, The NYTimes and Anjali all sing the praises of cold-brewed coffee and experience tells me they all have great taste. Following the proportion from the Times, I mixed 1/3 cup of coarsely ground beans with 1-1/2 cups cold water, adding a generous squirt of agave and 1/2 teaspoon vanilla extract. I don’t like flavored coffee, but I guess I was nervous this would taste terrible, which is funny because who was going to taste it but me? 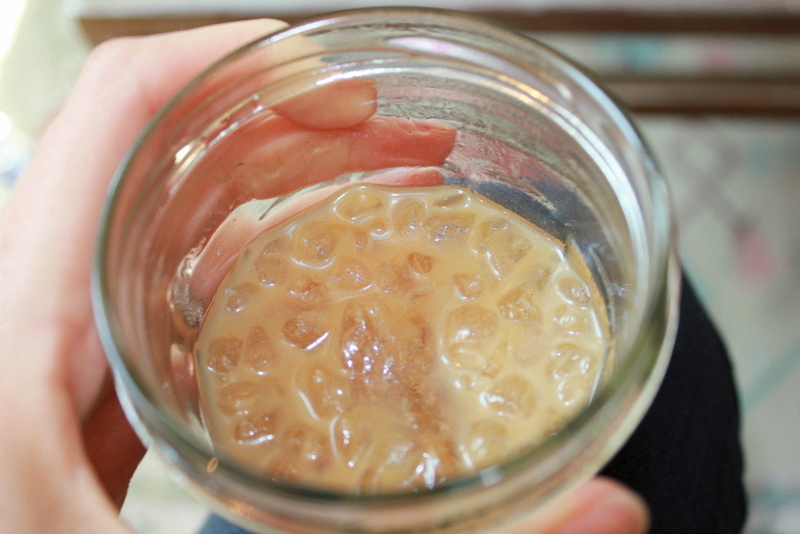 It steeped overnight in the fridge before I poured it through a fine sieve over chipped ice and added cold milk. 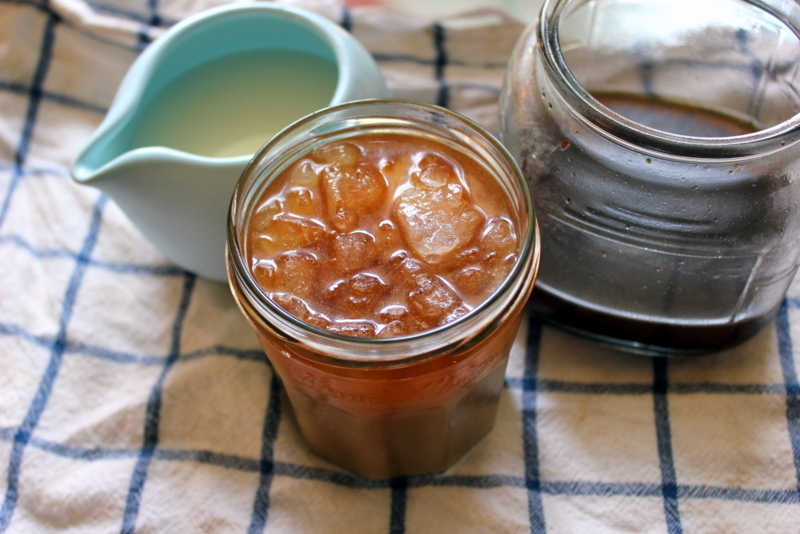 Looks like iced coffee, right? And it is but not as harsh on your stomach as a regular brew. You take a sip and taste all the flavor of your beans and then…nothing. The acidity never comes. It’s coffee bean flavor full and clean and soft. The vanilla worked for me and half-and-half would make this an even more delicious cup. Food 52’s “magical coffee” uses cinnamon. How would you flavor yours?